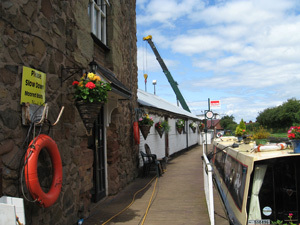 We offer a range of items for boats that are calling at our quay, and also customers that arrive by road! Red diesel, which can be supplied as domestic fuel, or as any percentage of propulsion fuel that you choose to declare. We also do container sales of red diesel (bring your own containers). Calor gas - we are a Calor dealer and offer the full range of cylinder sizes up to 19kg. Solid fuel - we stock Taybrite smokeless, Widfire supercoal, and large nut house coal, all in 25kg bags. Pump-outs and cassette disposal are both available. 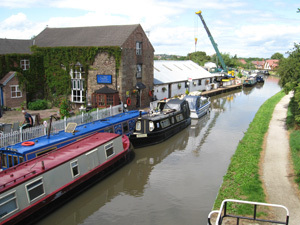 Chandlery - we have a quayside chandlery where you can browse and buy those essential items. Anything that we don't stock we can usually get the same day. Please note that we close earlier at 17:30 in the winter (Monday-Friday) but you can ring the out of hours number if you expect to arrive late in the day.